Kyndra has finally mastered her cold Starborn powers - but is it too late? A faction of assassins, who can manipulate time, plan to rewrite the history of Acre. These Khronostians will ensure the Sartyan Empire was never founded. And in this new narrative, Kyndra is never even born. With her ally Char, and the rogue Khronostian Ma, Kyndra resolves to enlist the help of the dragons, banished long ago. They must find them first, but together they could generate a huge amount of power. It could propel Kyndra far back in time, to avert the ending of an era. However, Kyndra will be heading towards a terrible confrontation - one that has shaped and will shape the future of her world. 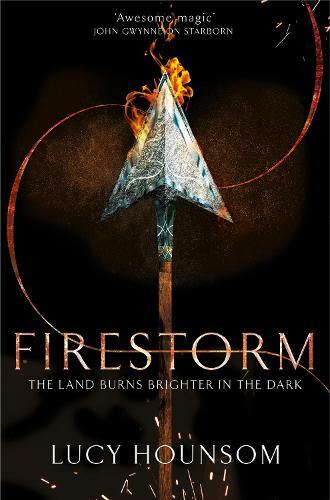 Lucy Hounsom's Worldmaker trilogy comes to a dramatic conclusion in Firestorm.